We believe that you were made by God to be a part of his story. We understand the struggles of middle school and high school which is why we have a place to help you find and experience God with your friends. Five Oaks Students is our weekly gathering for middle school and high school students. Students need a place where they can have fun, spend time with their friends, connect with caring adult leaders, and grow closer to God. Every week, students have the opportunity for some serious fun. 9-square, Gaga-Ball, Foosball, and boardgames, not to mention some good eats and treats at our cafe! There is something for everyone and it’s one way we help students to connect with each other and their leaders. 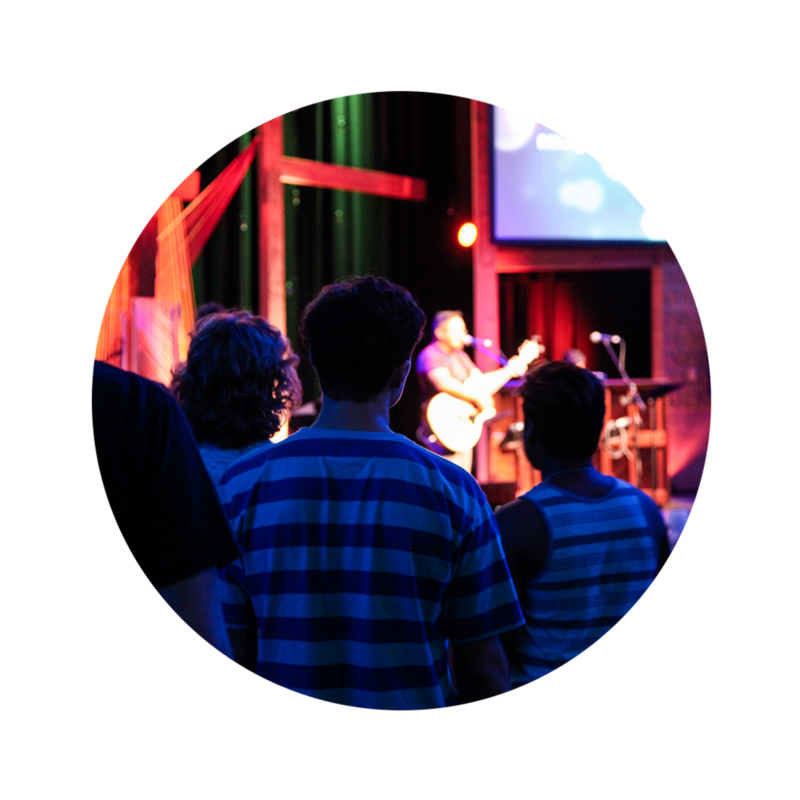 Our worship and message are upbeat, interactive, intentional, and designed for students to have an experience with God. Each week's message is part of a message series designed to be relevant to the things affecting students and to help them find their place in God’s story. We are not meant to figure out life and faith on our own and we believe the same for our students. Students spend time in small groups with their leader and peers every week following the message. It’s a time for them to respond to the message and check in with one another. It’s a place for them to be real, and a place for them to belong. Students thrive when they are connected to significant relationships. Friendships with students their age are key in the middle school and high school phase. At Five Oaks Students, we are intentional about helping students to connect with one another in meaningful ways. We believe parents are the primary influencers of their kids, however, that influence shifts dramatically in adolescence. Relational influence is now more effective than the positional influence parents have as the parent. Your student needs a healthy, trust-filled relationship with you. We have tools to help you navigate this phase with deep relational connection with your student. Students win when there are other adults in their lives. Every student needs at least FIVE of these key “other” adults in their life. These are neighbors, coaches, teachers, youth group leaders, and other adults in their faith community. Our student ministry team is built of adults such as these. They show up, hangout, and stand in the gap with and for our students.